You have the ring — now it’s time to grab your girls! Asking a friend to stand by your side on the most important day of your life is a huge deal. They will feel honored and you will feel blessed. 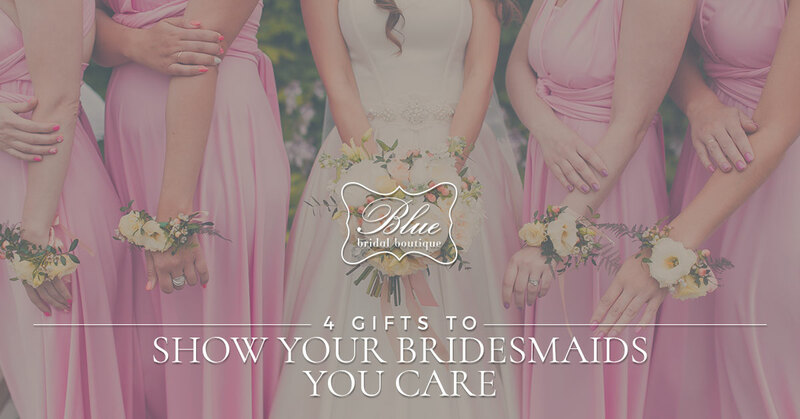 The big day is just around the corner, and you’re busy getting your wedding dress altered and finding bridesmaids gifts. We’re here to let you in on a little secret: there’s no better place to shop for bridesmaid gifts than Etsy! 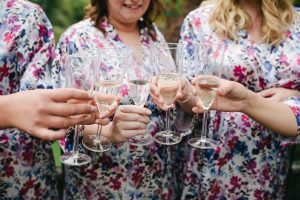 The most popular bridesmaid gifts are bridesmaids robes for when you’re getting ready, monogrammed cups, jewelry dishes, and wine stoppers with bottles of wine. Online, you can found countless ideas for outfits for you and your girls to wear while getting ready for the ceremony. Whether you prefer a silky robe, a romper, or large button-up T-shirt, it is important to remember not to select an item that goes directly over the head. This will be hard to get on and off without messing up hair or makeup. You can even customize your selection with your girls’ initials or names if you’d like! Next, we have monogrammed cups. This can be a Yeti mug, coffee mug, reusable bottle and straw, or a wine glass! Choose an item you think your favorite ladies are most likely to use, and maybe even get a photo of all of you drinking out of them while you’re putting on your wedding dress for the big day. Another popular gift is a jewelry dish — especially if you personalize it! Personalizing with writing or a floral design is the most popular way to go, but be creative and choose a print or concept that speaks to you (initials, first letters, horoscopes, etc.)! These little beauties will be used for a lifetime by your girls. Lastly, we have the wine stopper and bottle of wine. Your partner popped the question, and now it’s time for you and your favorite women to pop bottles! On Etsy, you can even create custom wine bottle labels. How creative would it be to create a wine bottle label that allows a memory of your wedding day to live on forever? Plus, once the wine is gone, reusing the bottle as a vase is a perfect way to keep the memory alive! It is important to get gifts for your bridesmaids. They are most likely paying for the dresses, shoes, and perhaps their hair and makeup for your wedding, so giving them a little treat to show your gratitude is always nice. Do you already have your wedding dress picked out? If not, visit our bridal store for the beautiful wedding dress of your dreams — whether that’s a lace wedding dress, A-line wedding dress, backless wedding dress, or more! If you have it picked out already, have you taken it in for alterations? We’re proud to have an in-house seamstress who can help with wedding dress alterations you’ll love. Schedule an appointment with Blue Bridal Boutique in Denver to try on our designer wedding dresses!